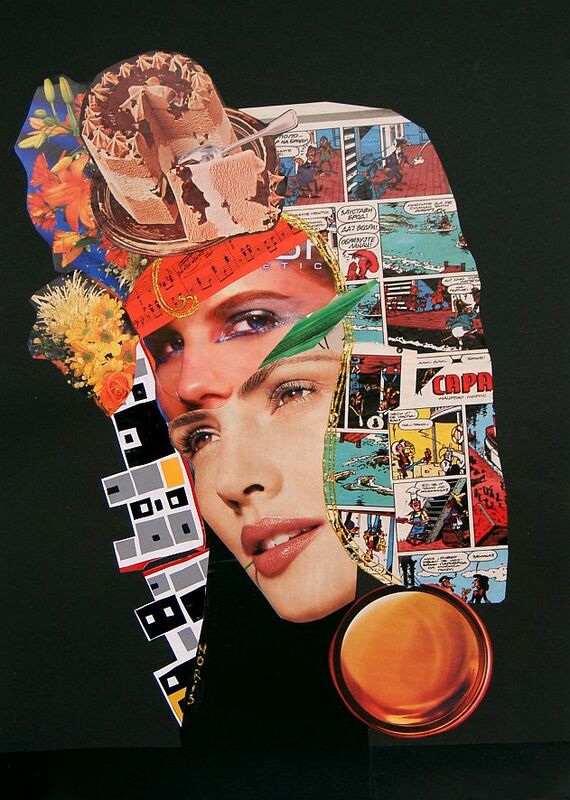 Emilija Noris was born in 1973 in Macedonia. 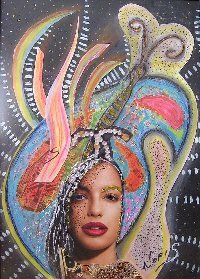 She earned a BA in music theory/pedagogy, studied fashion design at "Eftimov" in Skopje, and has worked as a music teacher since 1998. 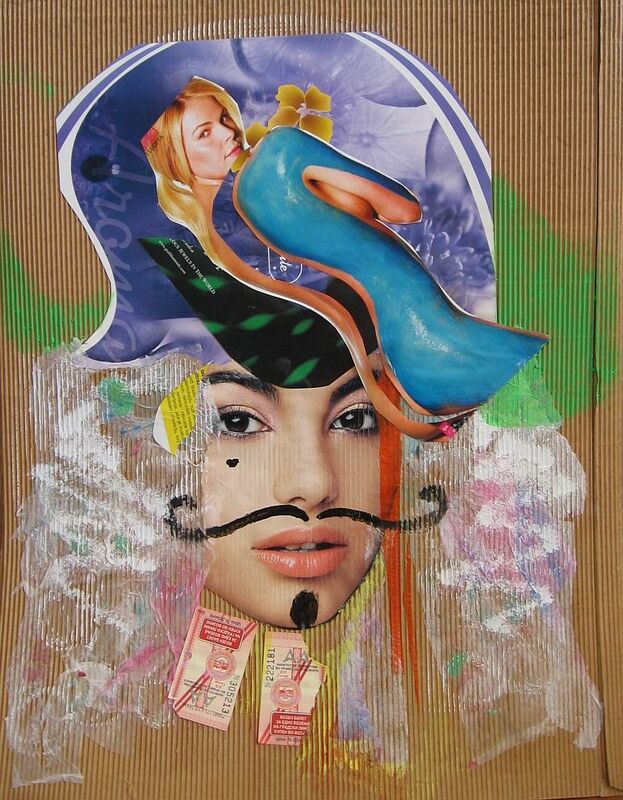 Her fashion-based artwork about the modern woman has been shown in group exhibitions and shows, including the Museum for Contemporary Art in Skopje. 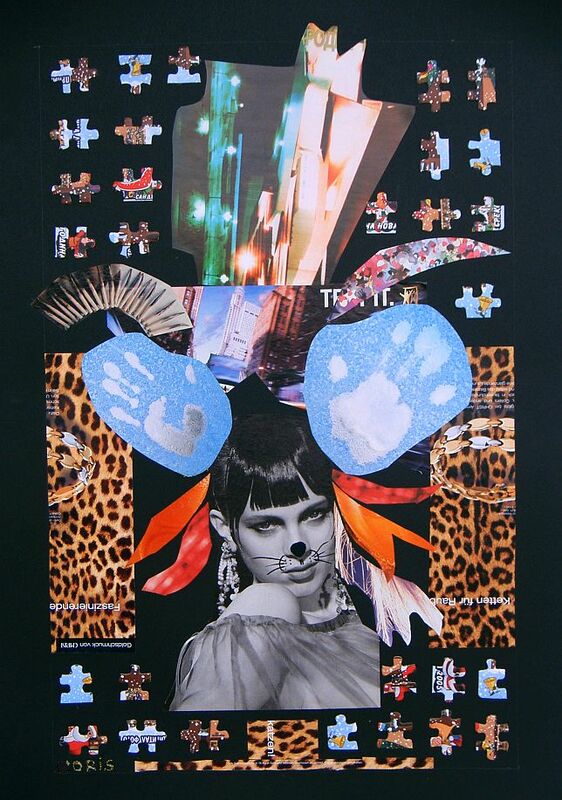 She is currently preparing for a solo exhibition. 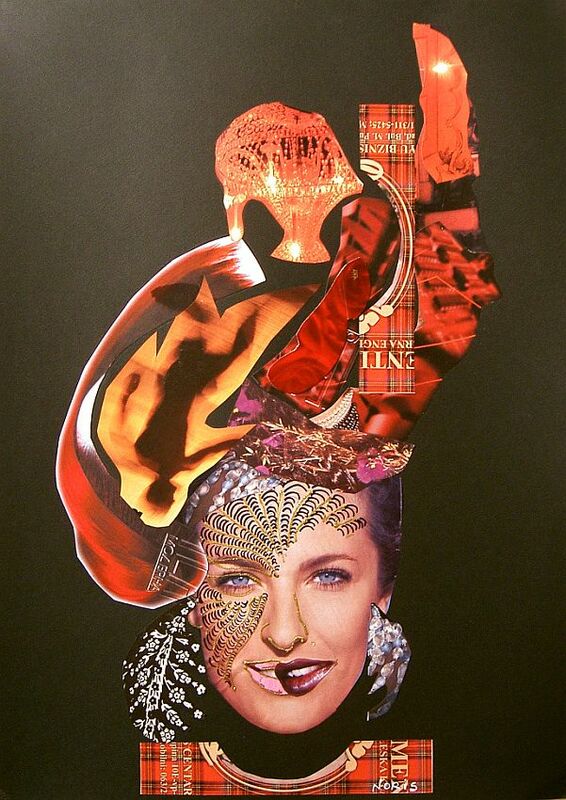 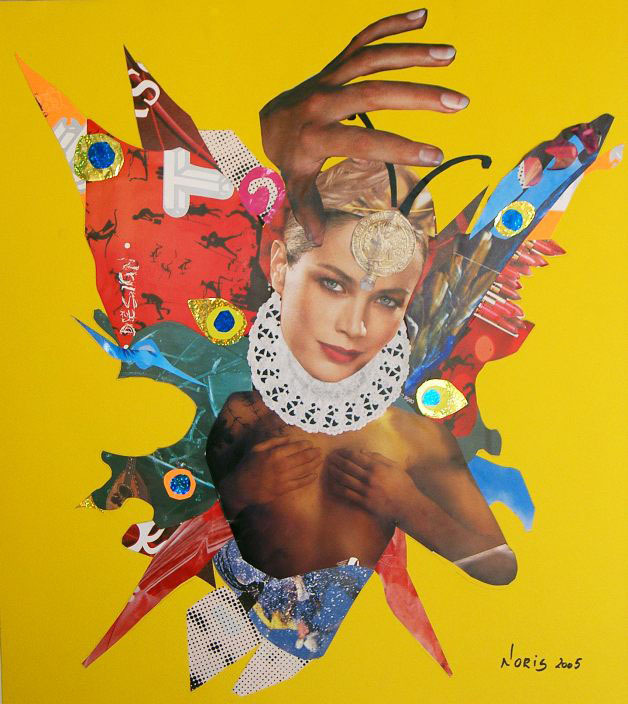 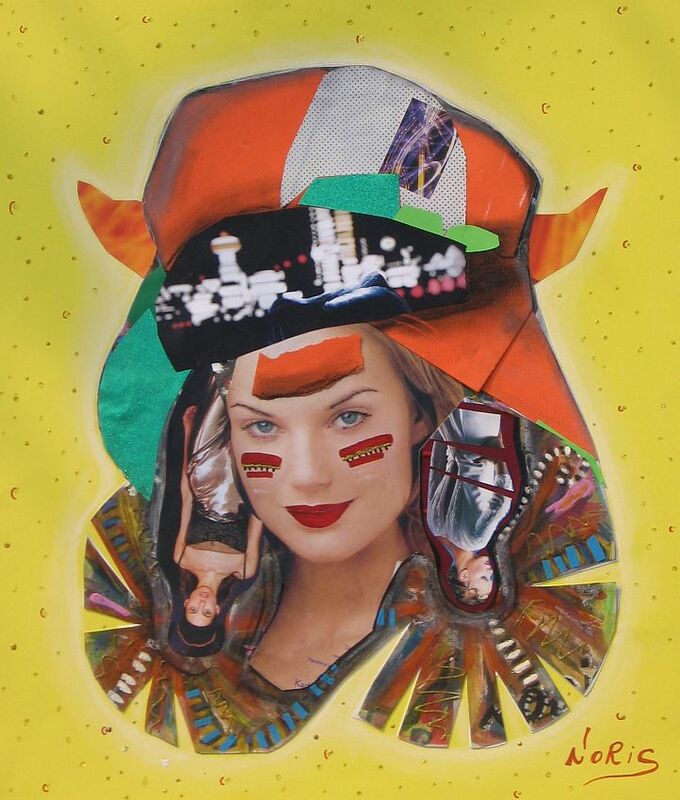 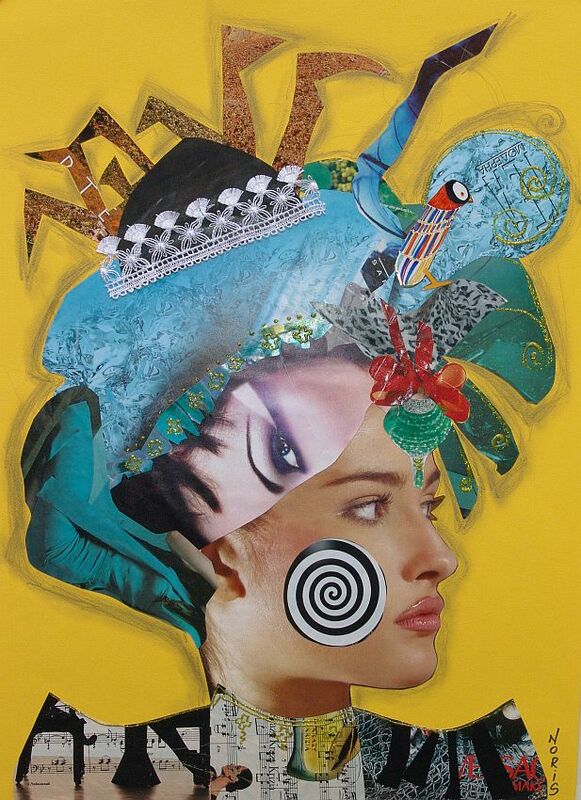 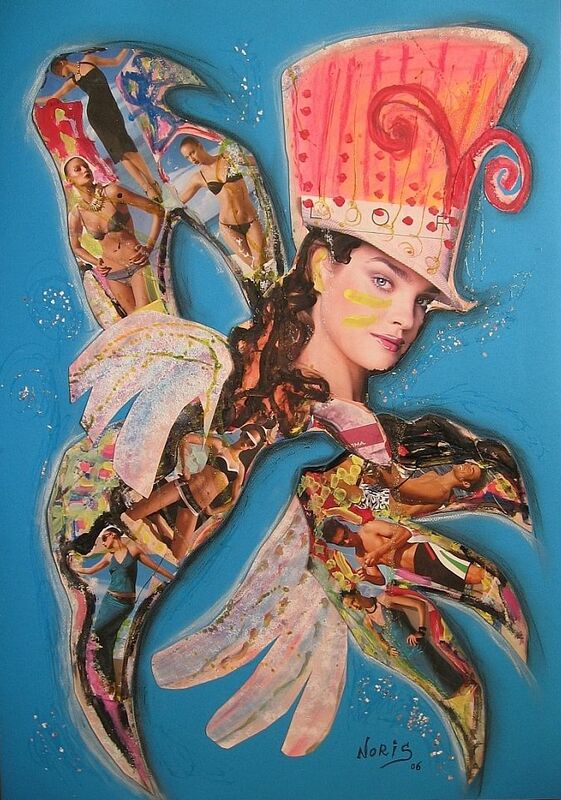 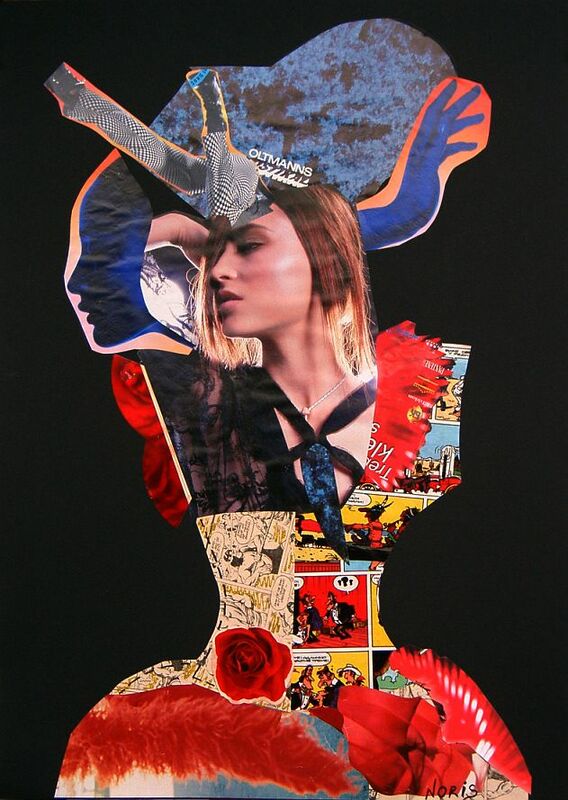 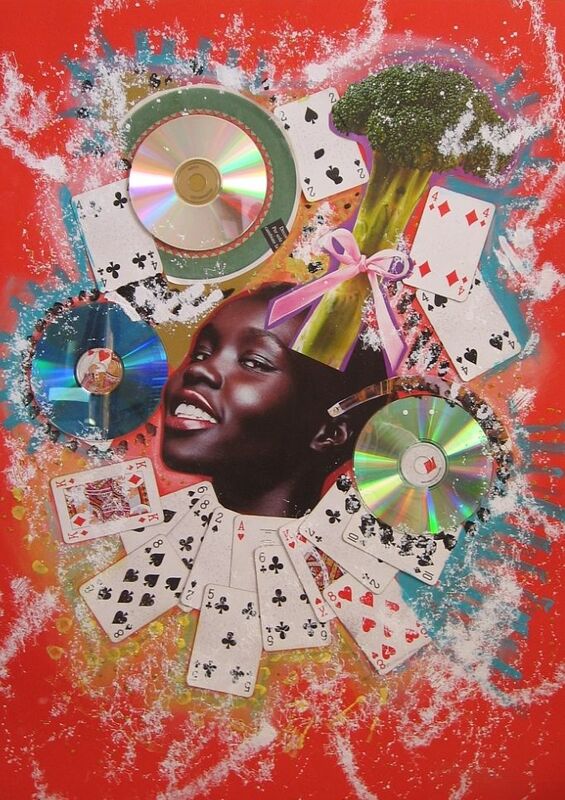 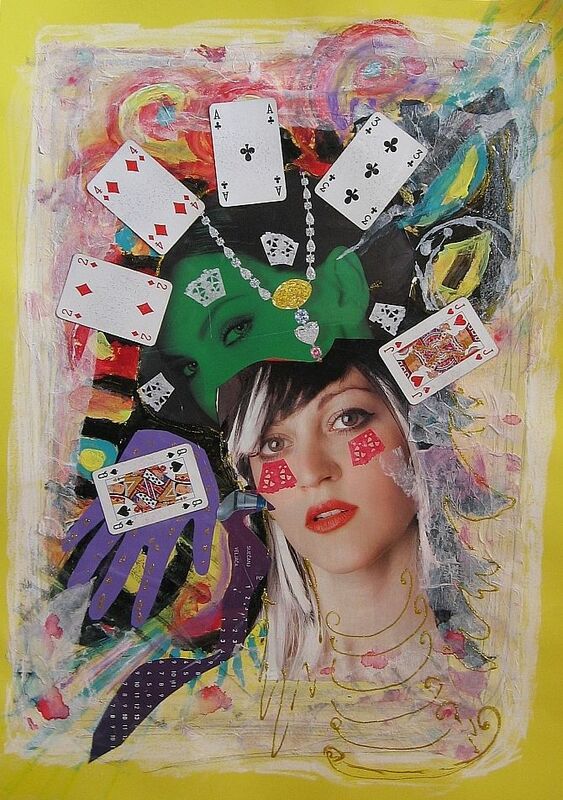 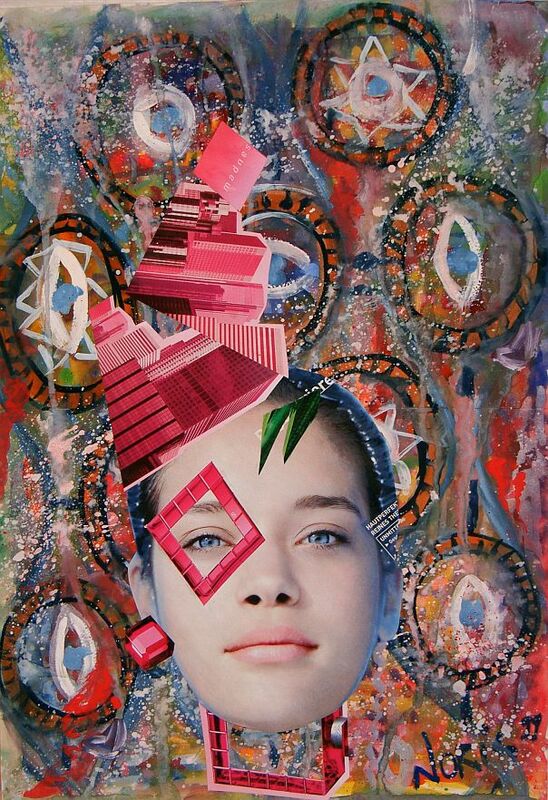 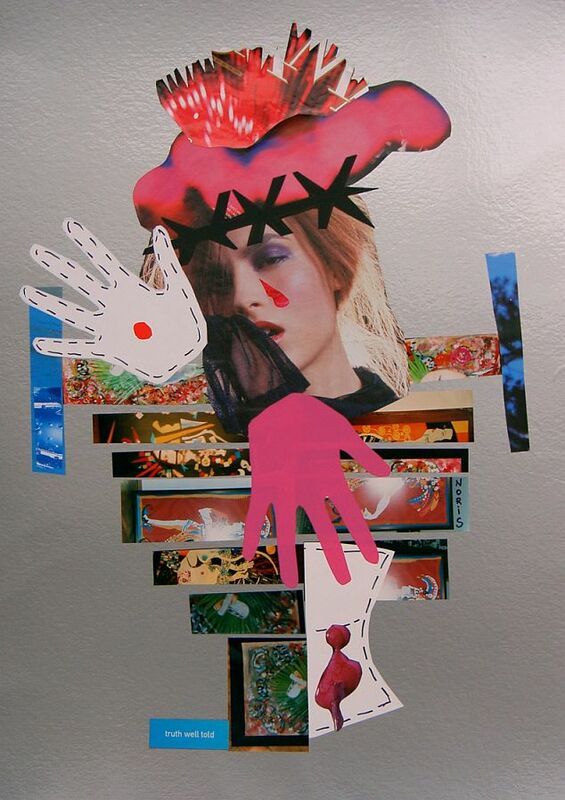 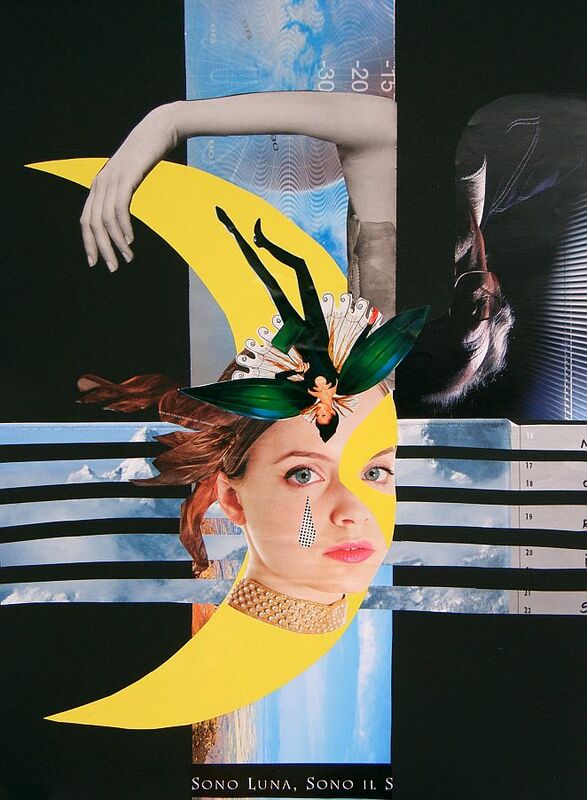 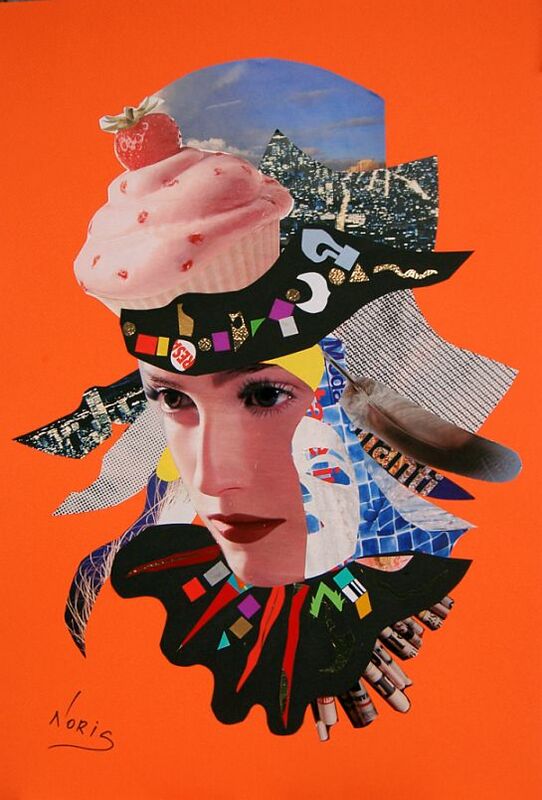 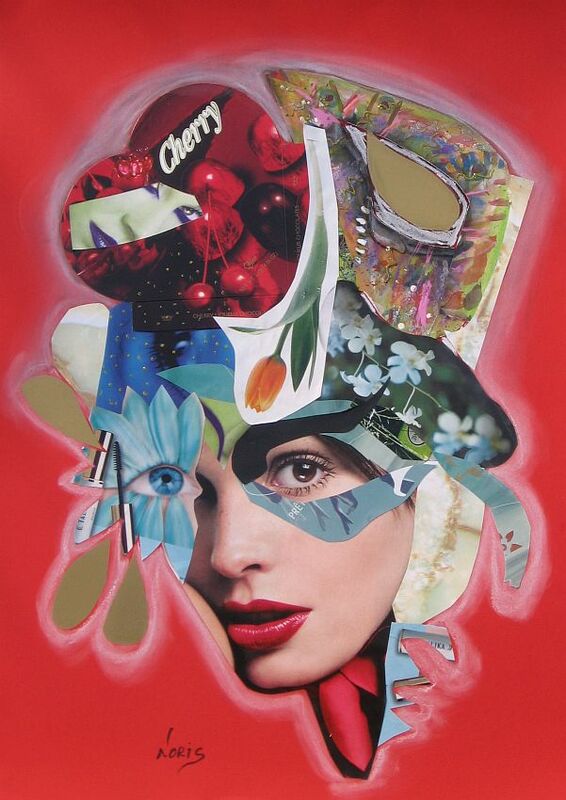 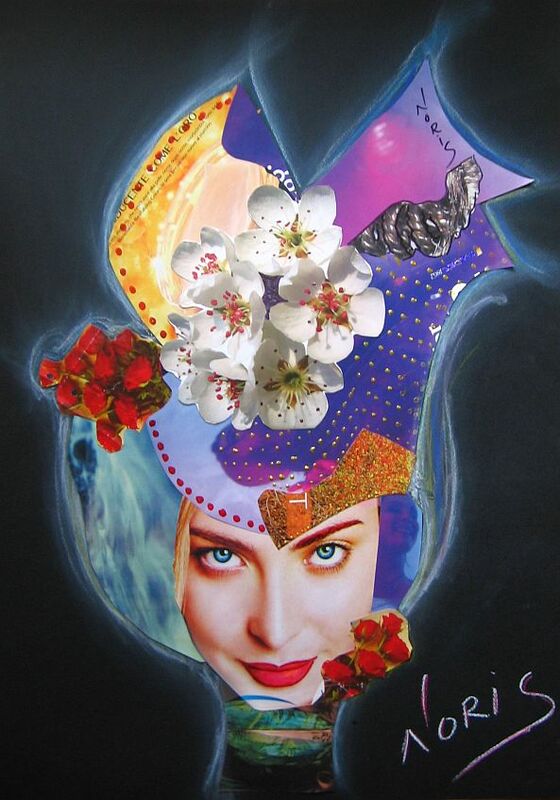 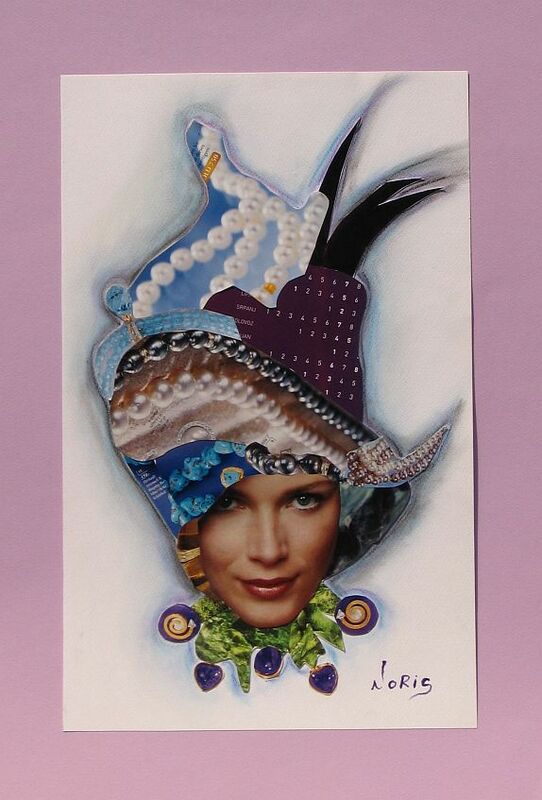 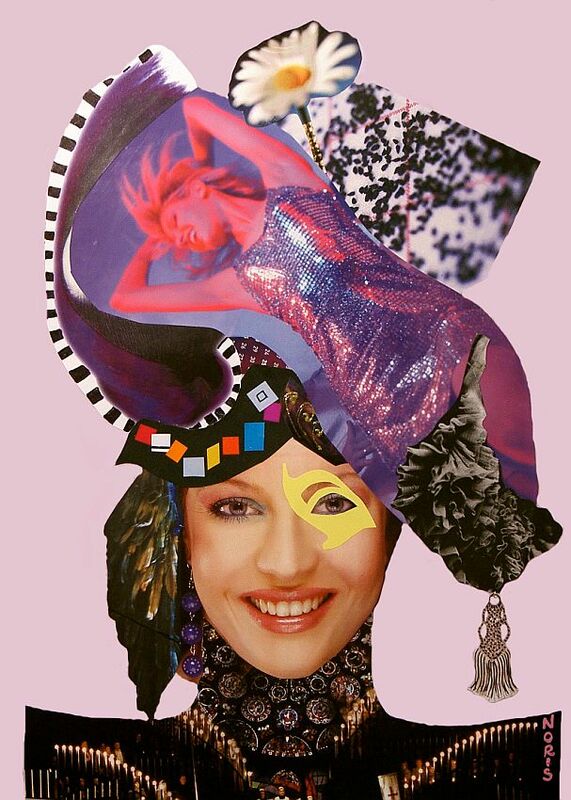 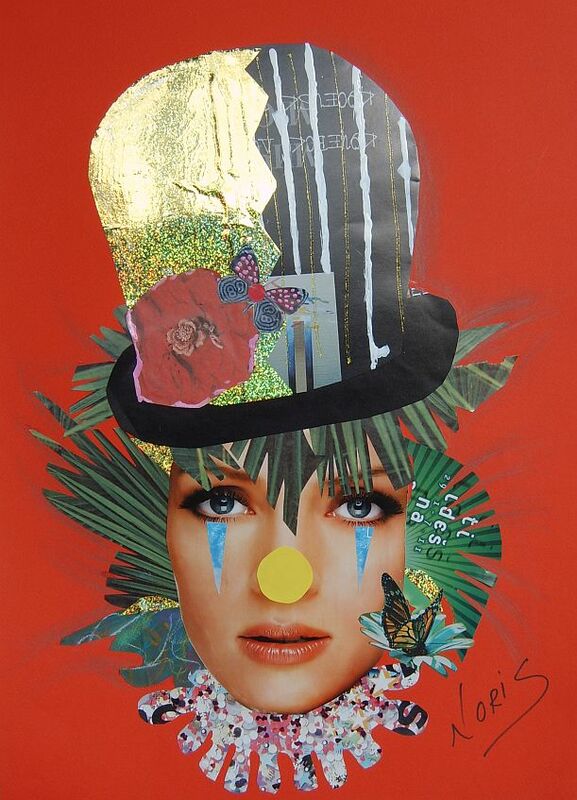 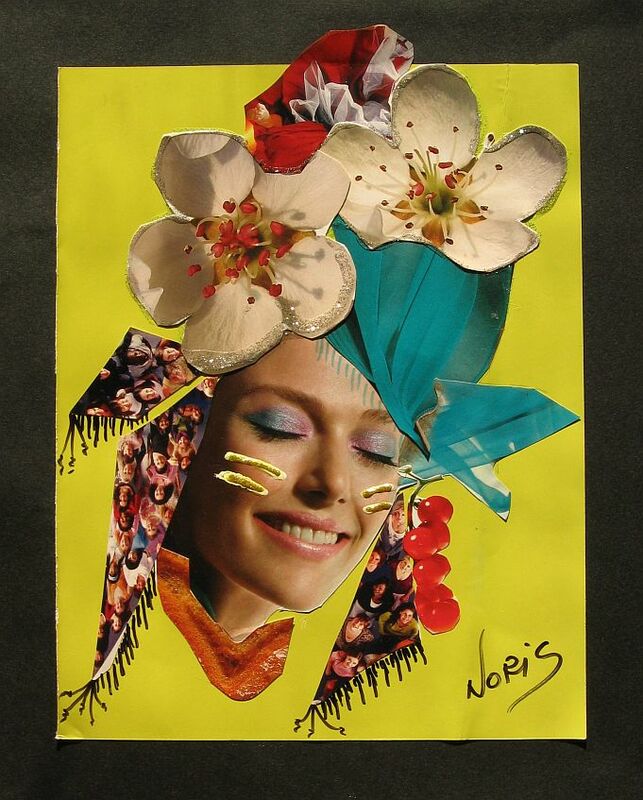 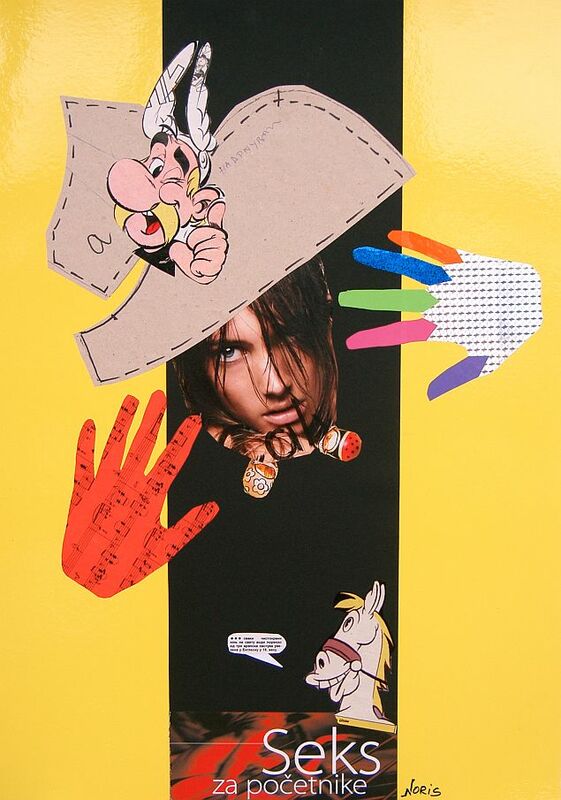 "My collage artwork reflects my personal everlasting fascination on the subject of woman and fashion. 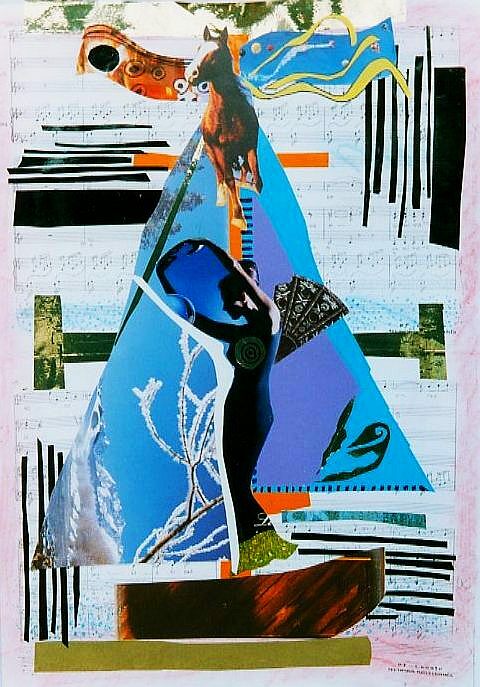 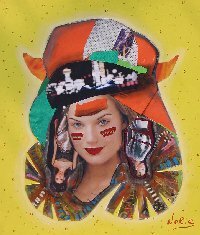 I started using this technique in 1997 by doing collage interpretations and reproductions of paintings from various artists. 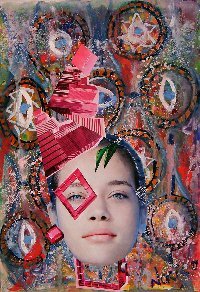 It was an experimental phase during which I learnt the basics of the technique. 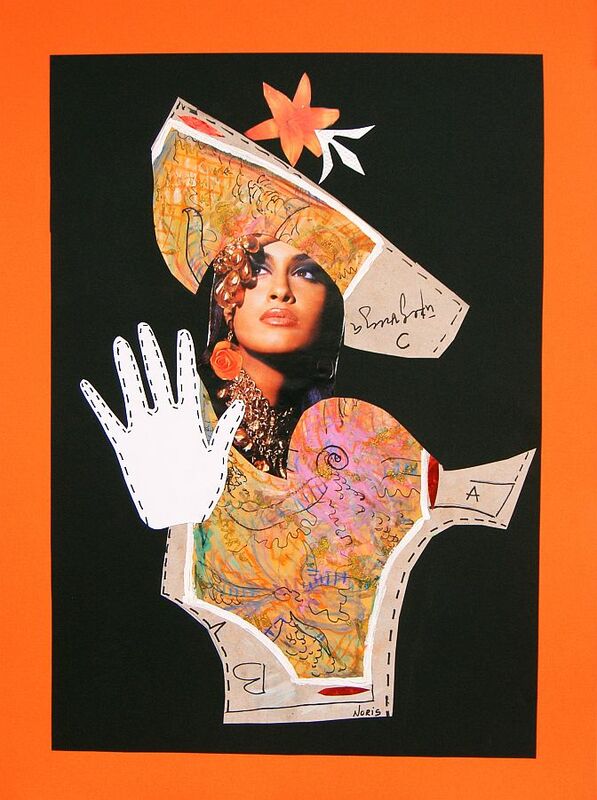 But it was fashion design school I finished in 2002, that guided me to and formed my present style. 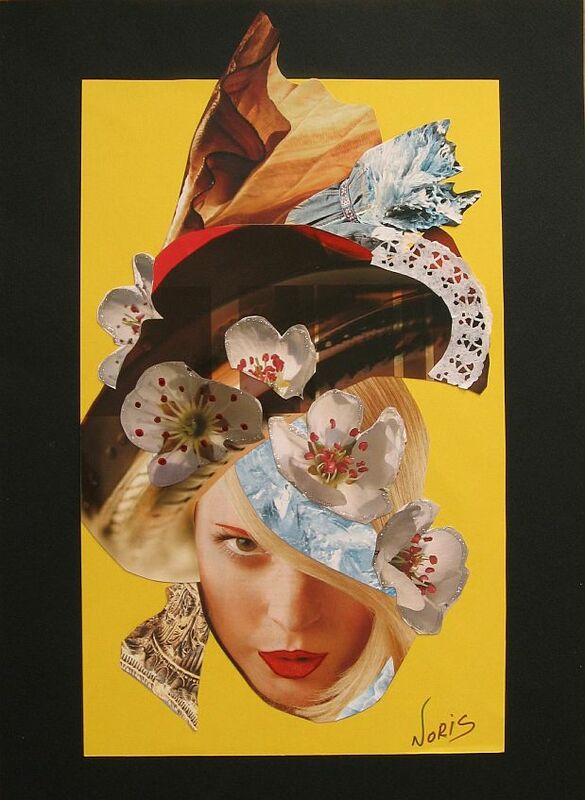 During this year I learnt a lot about visual expression of ideas through making of fashion books by using collage technique. 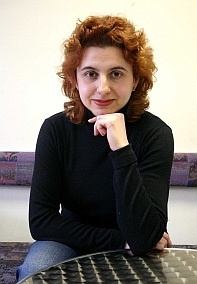 This was the moment when I begun my "Woman" phase, that it's still going on. 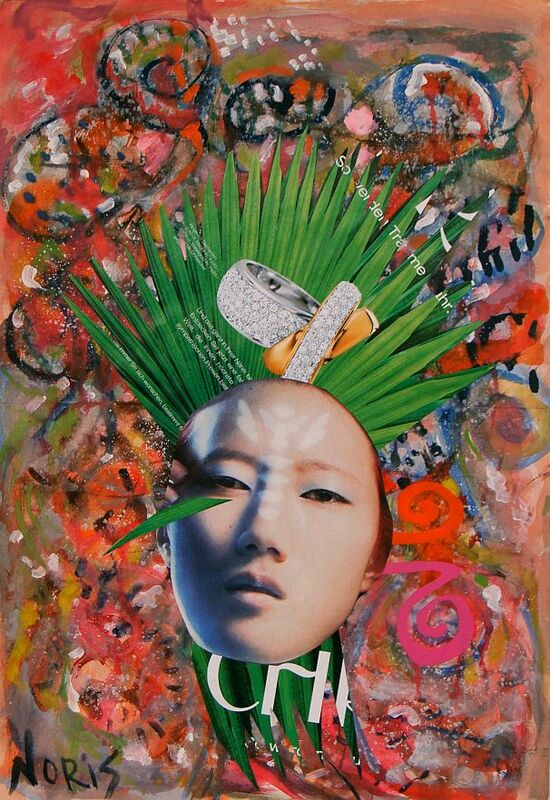 The works of "Woman" phase are focused on expressing different woman characters, moods and feelings. I build every work around a specific woman figure or face. 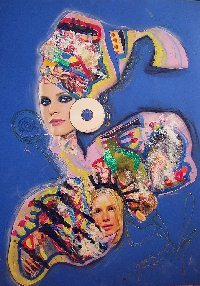 The most important part of the creation process is to choose this central figure or face, because it drives the rest of the composition. 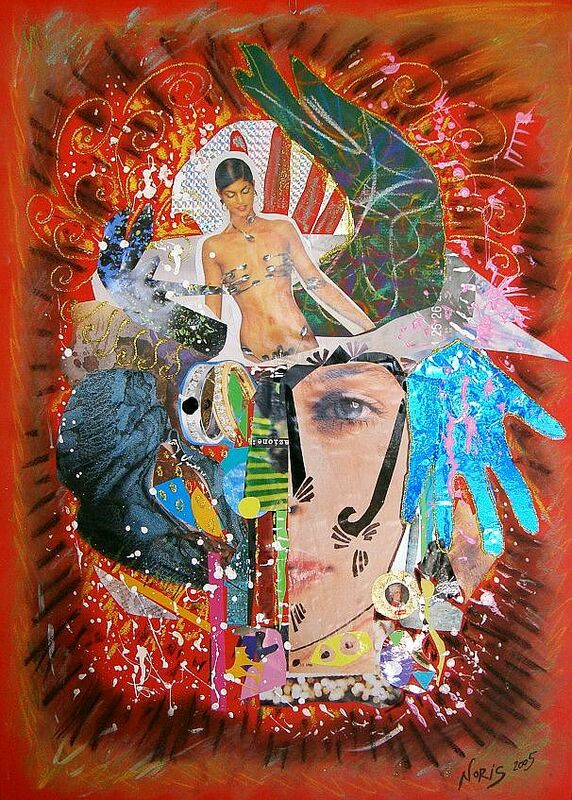 During the whole creation process I rely primarily on my insticts and momentary feelings, and act completely spontaneously, rather than having specific predefined final goal. 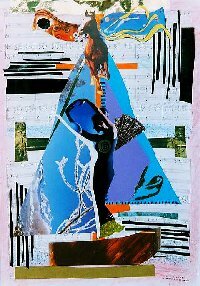 For my works I use cuttings from different kinds of paper. 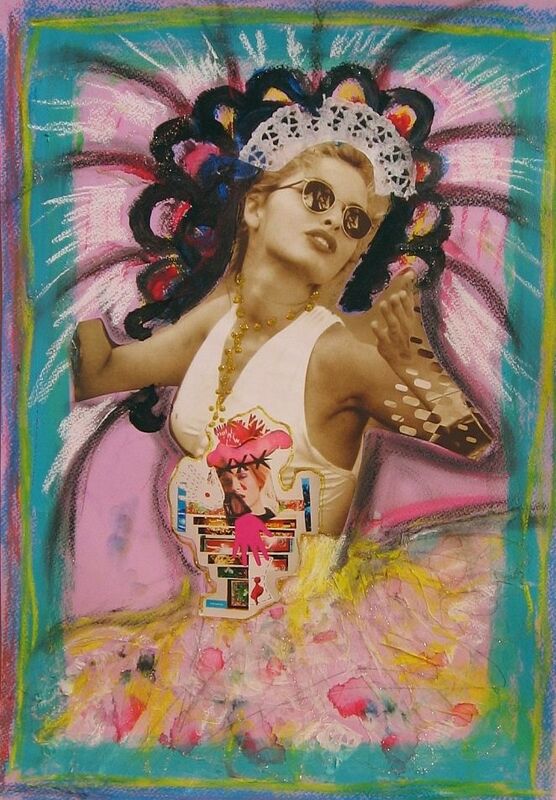 Then I apply pastel, acrylic or textile colors, and sometimes add textile or other objects. 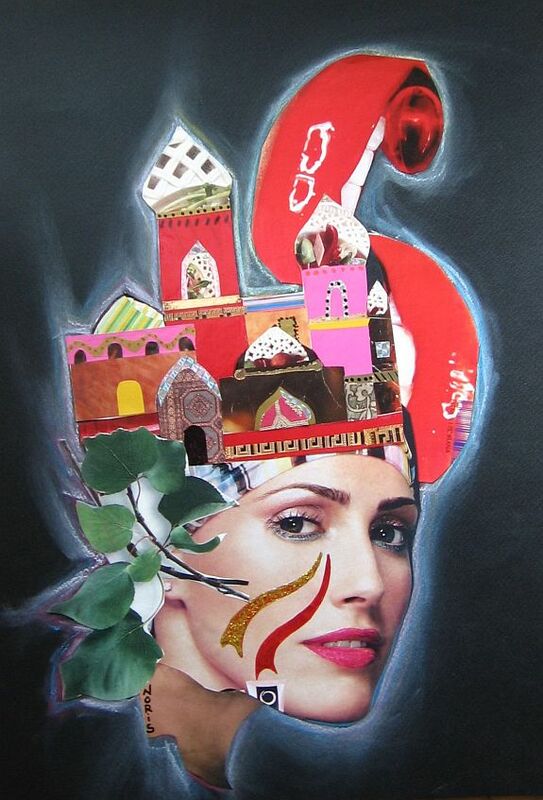 Most of my works are done in 50 x 70 cm format." 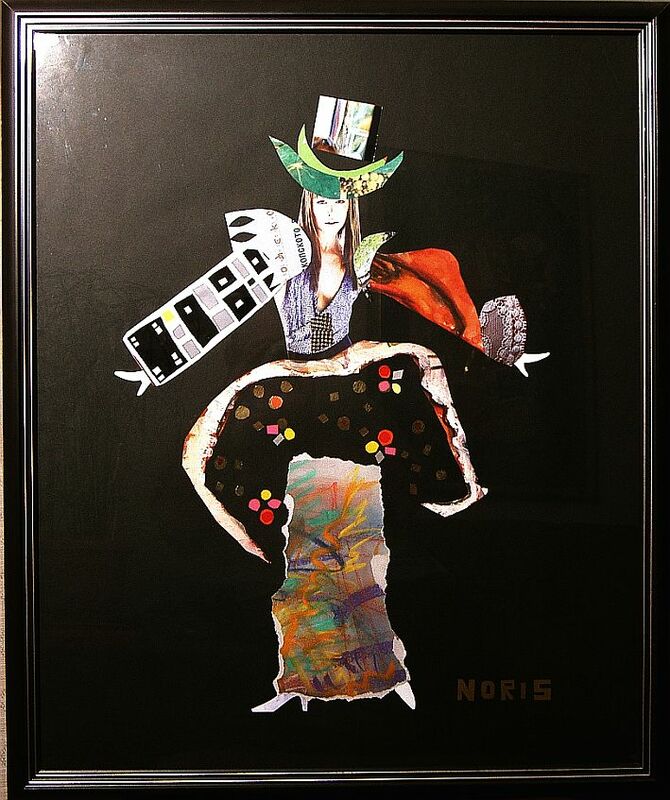 If you need more info about Emilia Noris, please visit www.noriscollageart.com or contact the curator. 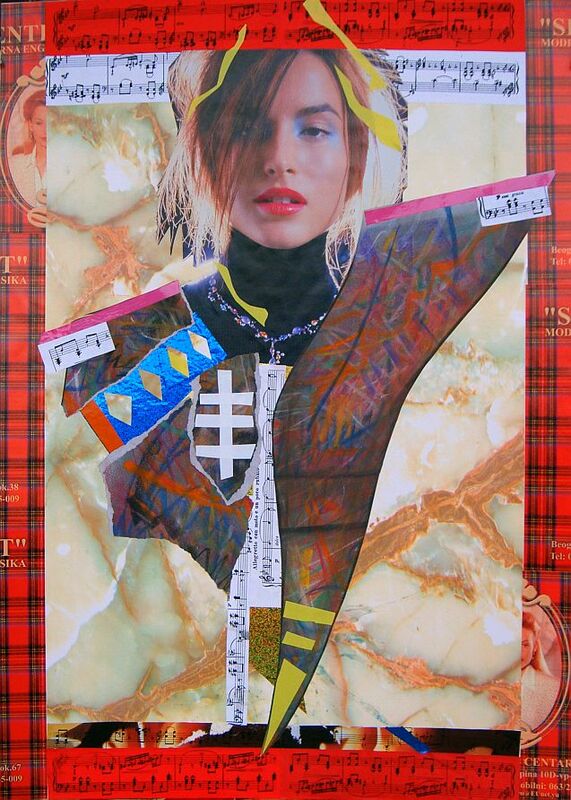 1995, Fashion drawings, Group exhibition, held in Army House in Skopje. 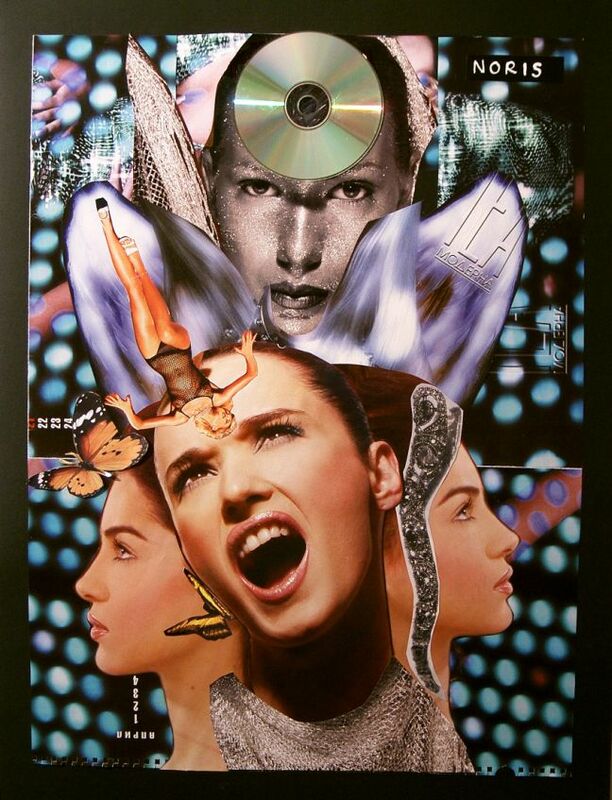 2002, "Hysteria and Belle epoque", Group fashion show of young designers from fashion studio "Eftimov", held in Museum for Contemporary Art in Skopje.